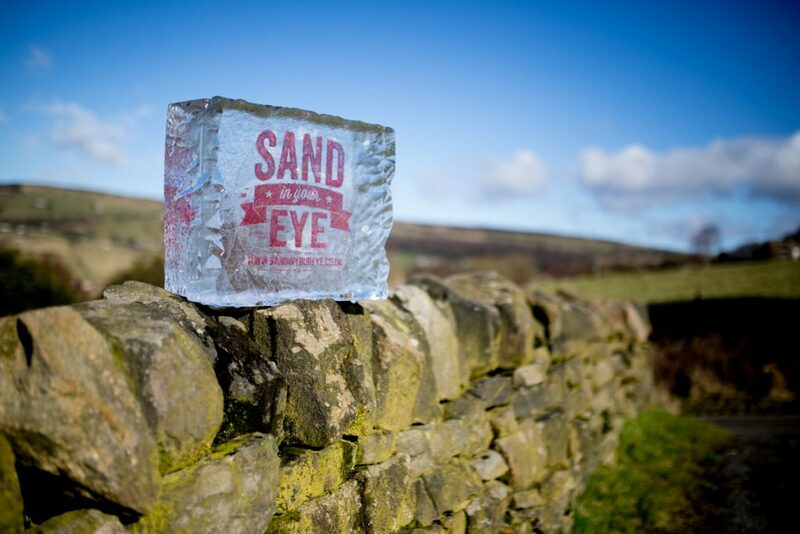 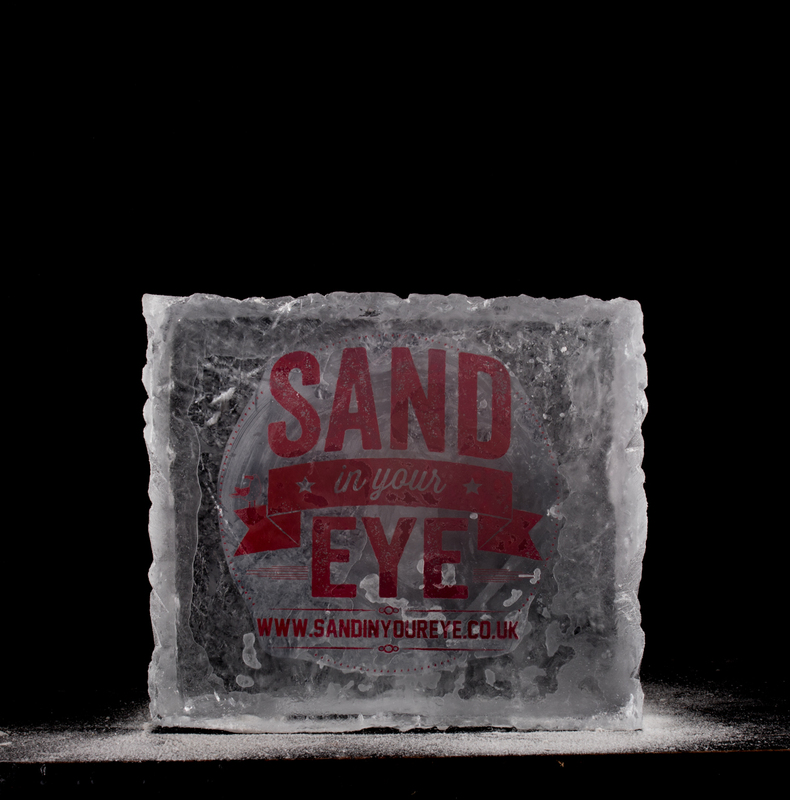 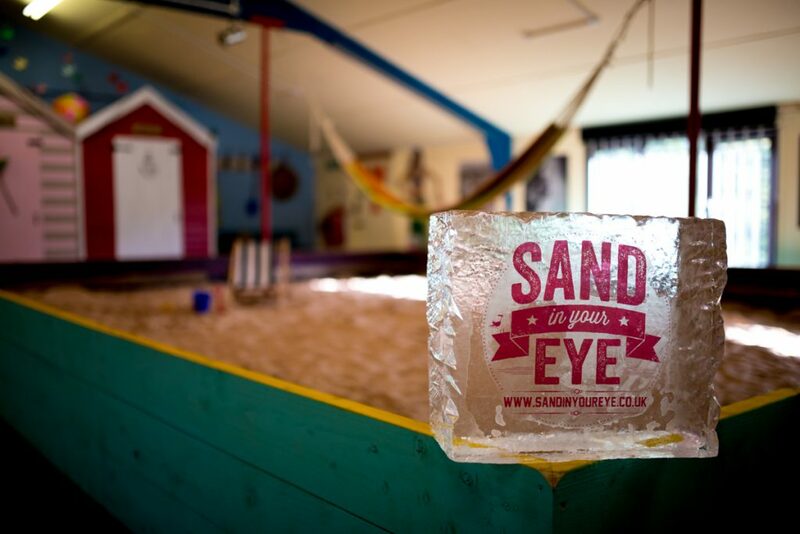 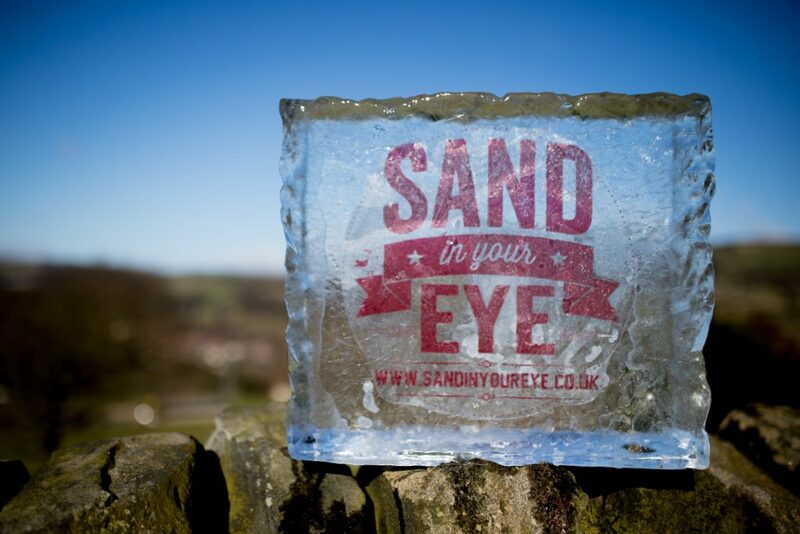 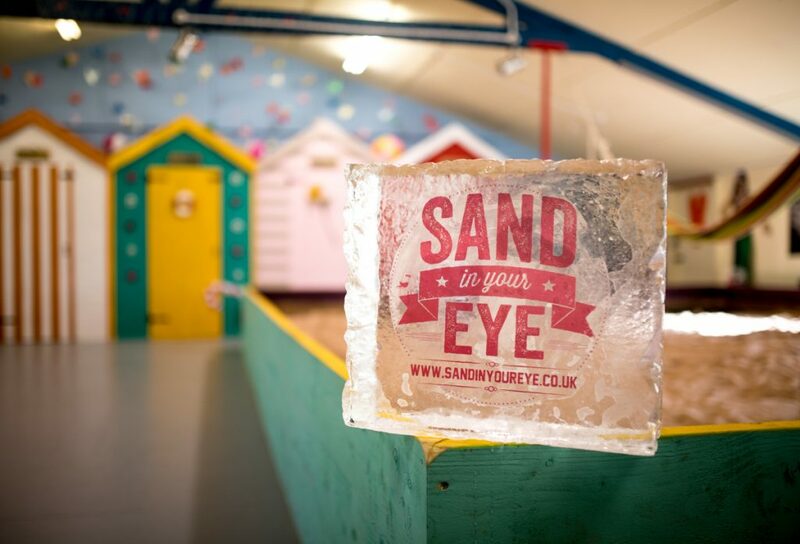 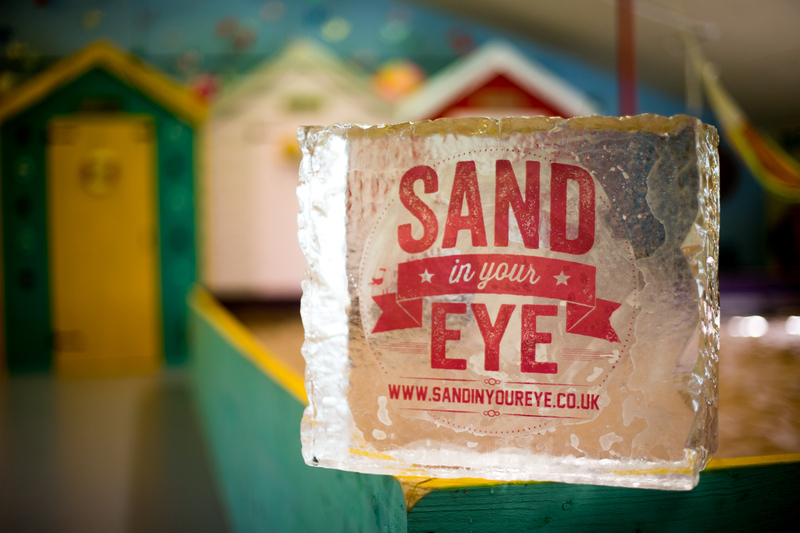 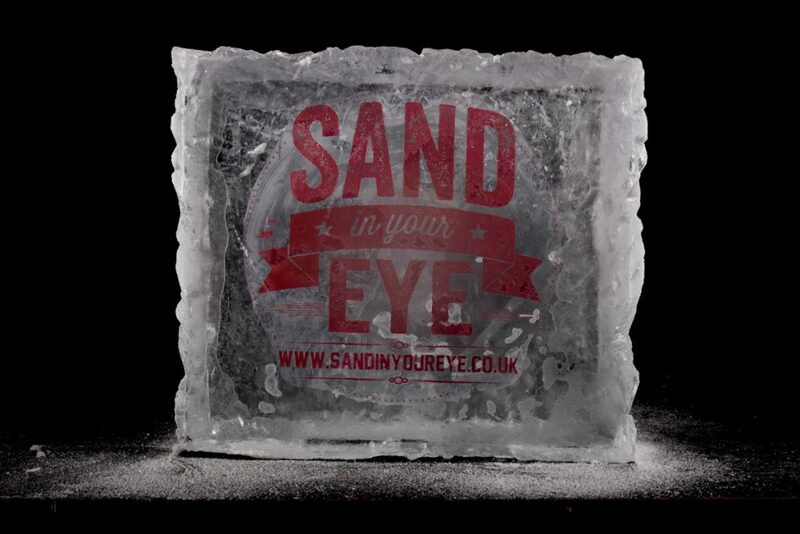 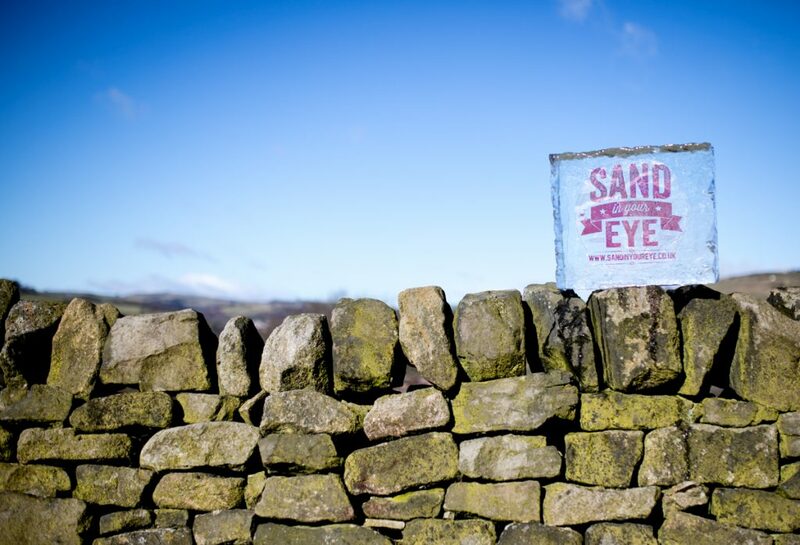 Last week we had some leftover ice to use up in the studio so we decided to trap our Sand In Your Eye logo in ice. 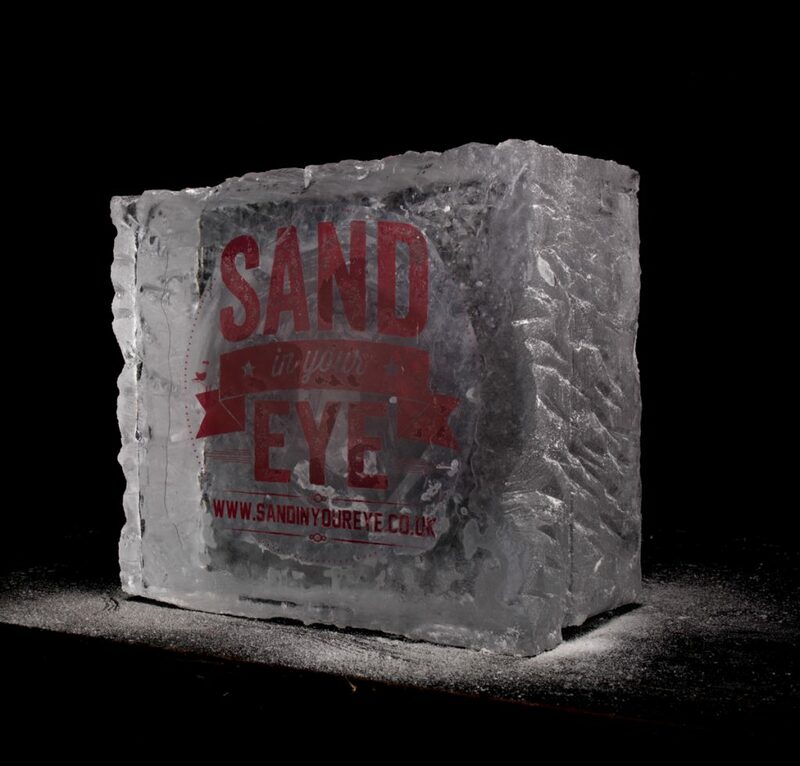 These kinds of sculptures are really effective as a stand alone sculpture for a corporate event or photo shoot, or as a base for something else, either to promote sponsorship for an ice sculpture or to make into a luge or centerpiece for an event. 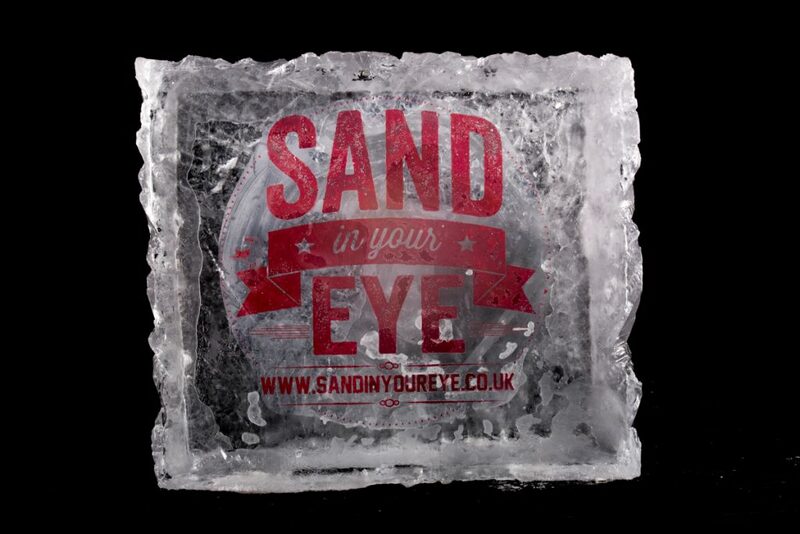 We can also make them for weddings and parties too. 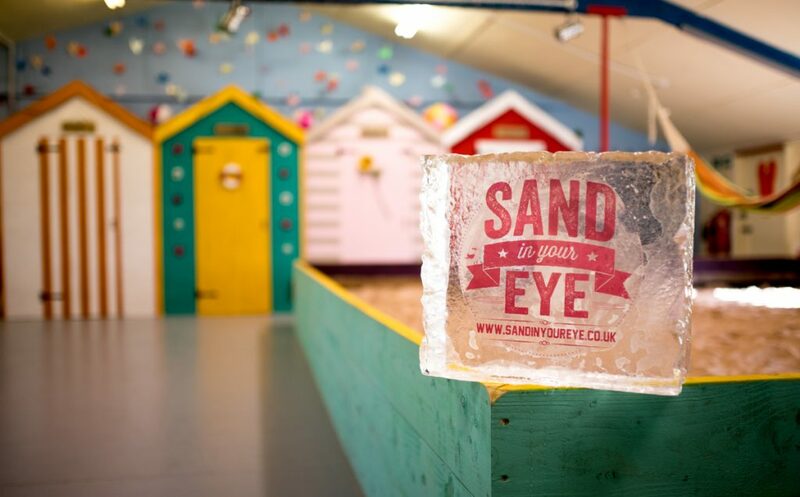 A unique way to display the table plan at a wedding? 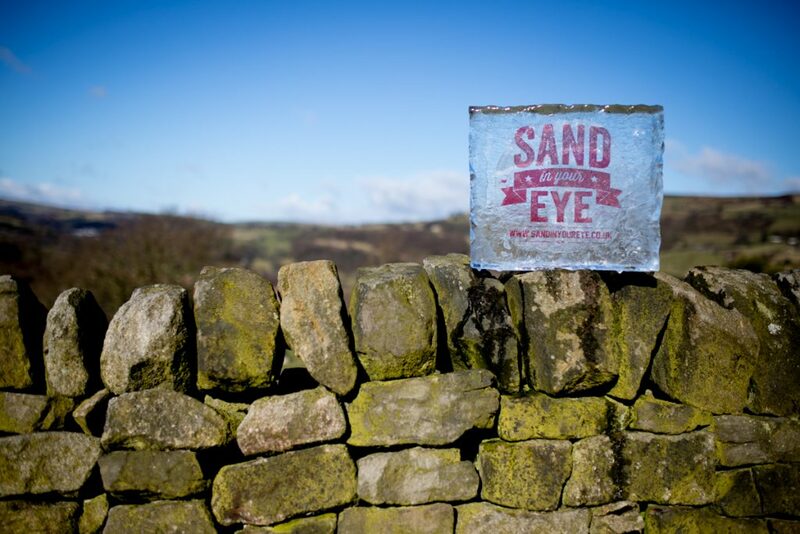 Or a welcome sign for a winter wedding, the options are endless. 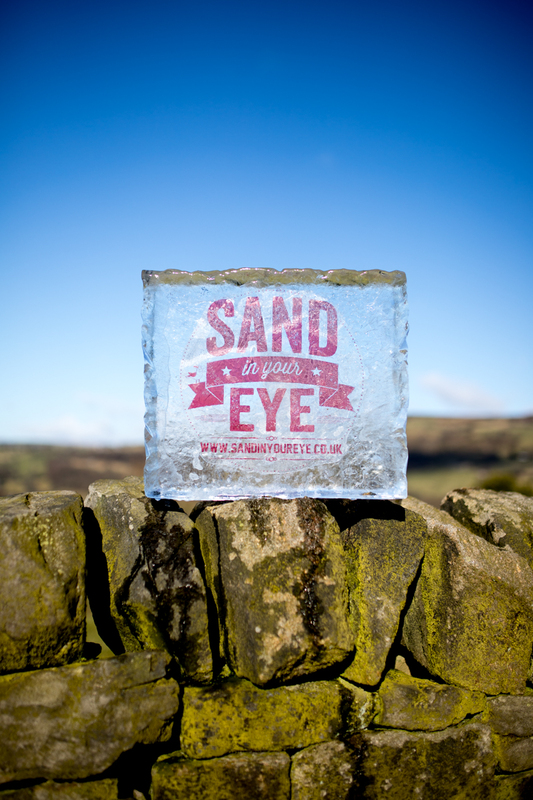 We took our ice sculpture logo out for a little walk on the site of our studio. 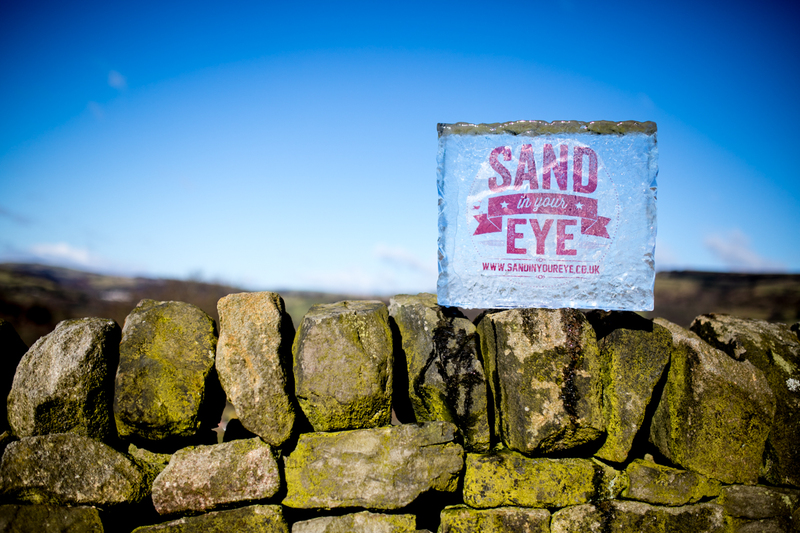 We are very lucky to live in such a beautiful part of the country and the day we took the photos was a perfect winter day. To find out more about our studio click here.